Tibet is known as roof of the world. The Tibet Cultural Tour trail with Pink Mountain Treks and Expedition is the classic route across the mystery land. The ancient silk trade centre was Tibet and most of the Cultural, art, Buddhist Philosophy, Artistic monasteries, hidden valley and centuries-old caravan trails was developed from this high himalayan part. Tibet, the very name evokes feelings of awe and mystery. Tibet offers totally different offer then the rest of the world have. These days Tibet did a rapid and unimaginable development within a few year. Preserving the old palace, monasteries, temple, art, hidden valley, books, library, totally different culture and still spend their enough knowledge and resources to build and develop the Tibet difference then the rest of the world. Tibet 's total area is 471,700 sq mile.Ethnic Tibetans, Menba, Lhoba, Mongols, Hui and a growing numbers of Han Chinese are the main groups who live inb Tibet with 3.50 total population. People speak Tibetan and Chinese languages who follow and respect on Buddhism and Animism. Fifty Five percent of the total land of Tibet is covered by grassland and rest of the land is covered by human civilization. 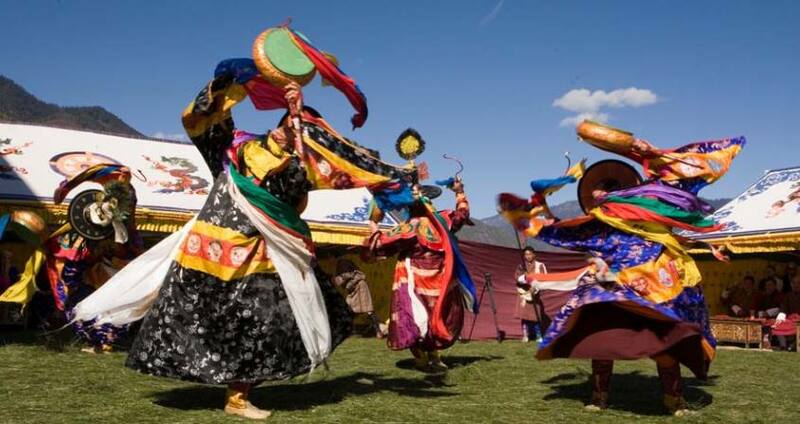 Tibetan New Year, Shoton Festival, Bathing festival are the main festivals of Tibet. Minus 10 Degree to 28 Degree is the basic temperature of Tibet. The top places to visit in Tibet are actually some of the top places to visit in the world. Nowhere on earth can you find such an intoxicating blend of humming spirituality, art and raw natural beauty as in the high-altitude holy sites of Tibet. And, basically, every destination is a holy site, every path a pilgrimage, whether you are trekking to Mount Everest — the “Holy Mother” — or circling the spectacular chapels of the Jokhang in the center of Lhasa city. Despite the wide-spread physical destruction of the Cultural Revolution, and the heavy ongoing Sinicization, Tibet has managed to preserve the heart of some of her most glorious cultural jewels. The list below cannot pretend to be definitive, but if you’ve never been to Tibet, here’s a great start for places to visit from a base in Lhasa. Day 13Bhaktapur and Patan Tour After breakfast, proceed to sightseeing tour to heritage sites of Bhaktapur and Patan, the most medieval-look town in Kathmandu valley, and visit its Durbar Square.In the afternoon, free in Thamel, tourists favorite shopping area. Day 14Fly OutYou will be transfer to airport by representative of Pink Mountain Treks and Expedition for your flight to your destination before three hour of your flight schedule.